3D is back, but are the specs up to the task? Yeah it's 3D, but do you care? LG will unveil the LG Optimus 3D Max at MWC 2012 in Barcelona, its successor to the world's first glasses free mobile, the Optimus 3D. We're still not sold on 3D phones, but it looks like LG is banking on the technology as it attempts to stake its claim in the mobile market by pushing the boundaries and offering a unique experience to users. LG says the 2D and 3D displays will be brighter and notes that the Optimus 3D Max will come packing NFC technology and LG Tag+ functionality. It will also feature an enhanced 3D converter, allowing users to view apps such as Google Earth and Google Maps in 3D. But does anyone actually want it? LG has managed to squeeze all the 3D goodness into a slimmer and lighter metallic frame which is just 9.6mm deep and weighs 148g. Although packing some beefed up 3D features, the Optimus 3D Max does not take a particularly huge leap forward in the specifications department. It will run a 1.2GHz dual-core processor (up from 1GHz dual-core in the original Optimus 3D) backed up by 1GB of RAM. Screens size stays the same at 4.3-inches and the 3D WVGA display will be protected by Gorilla Glass. No change in internal memory either, with 8GB to be found on board. Round the back you'll find dual 5MP lenses to capture 3D images and inside the Optimus 3D Max will run Android 2.3 (Gingerbread) with users having to wait until "shortly after the launch" for an upgrade to Ice Cream Sandwich. The Optimus 3D Max will launch firstly in Korea in March and will then roll out to the rest of the world, starting in Europe. 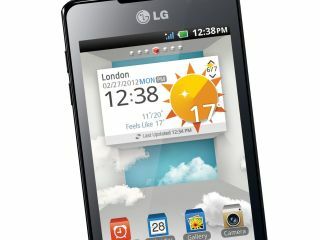 We will be at MWC 2012 to find out all the latest from LG, so keep an eye out for our hands on: LG Optimus 3D Max review.